Welcome to St. Lucia's little paradise. Guests are warmly greeted and helped to make the most of their visit in the World Heritage Site. 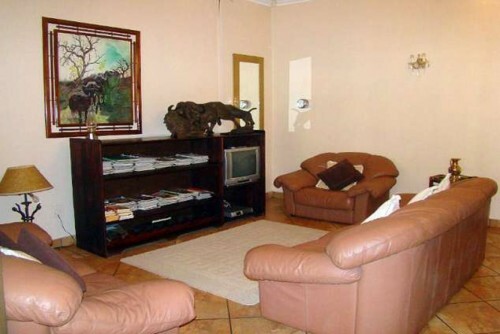 This old Victorian house has six comfortable rooms with air-con, tea/coffee trays, ceiling fans, fridges & hairdryers. All rooms are en-suite with bath/shower or both. The house has DStv in the lounge, a reading area, laundry services and save parking. 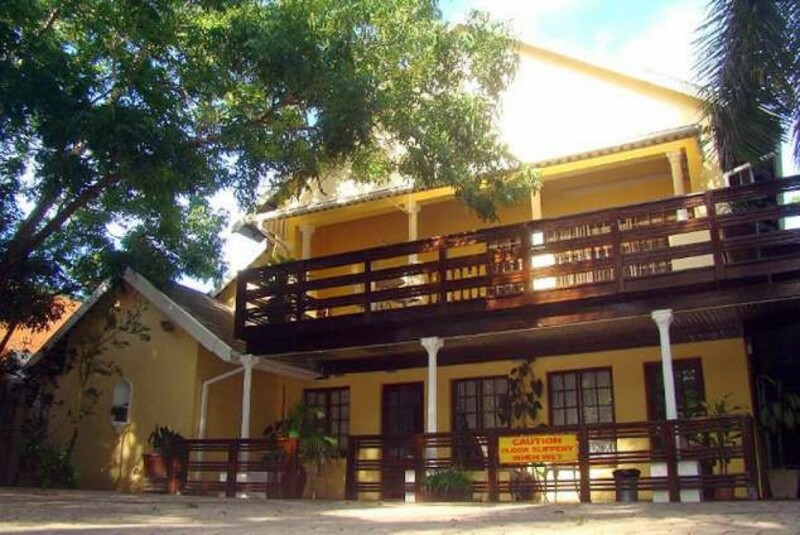 Restaurant and the beech are within 15 to 20 minutes walk from the Guest House. A generous breakfast is served on a wooden deck with a view over the salt rock swimming pool and beautiful forest garden. There is an abundance of birds and small animals. There is BBQ facilities available in the garden that will take your breath away and at night the Milky Way lights up the sky! When staying in the Wetland park one can never be bored! You can choose from Hippo & Crocodile trips on the Estuary, Whale watching (in season - July to Nov), horse trails, crocodile park, hiking trails, night drives in Cape Vidal, snorkeling, deep-sea fishing & Zulu cultural tours. There is also Turtle Tours (In Season - November to February) and off road trips. 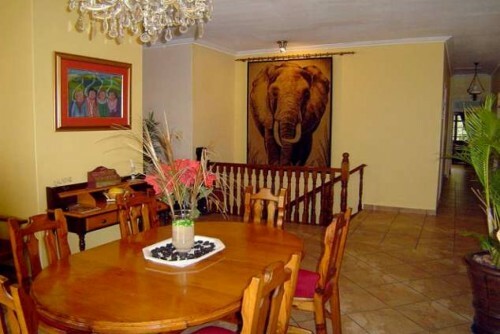 These trips take you to a new meaning to "Africa". 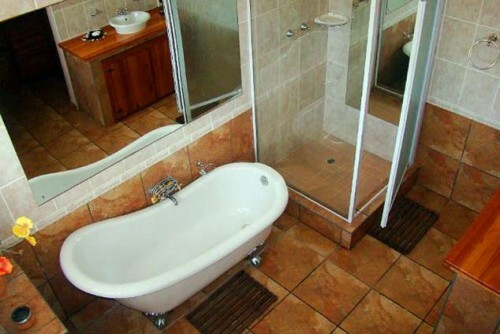 Expect to have an adrenaline rush & to need a bath after your day in the sun! Explore the Wetlands with qualified guides or by yourself. The information you get at the office is spoken from experience. 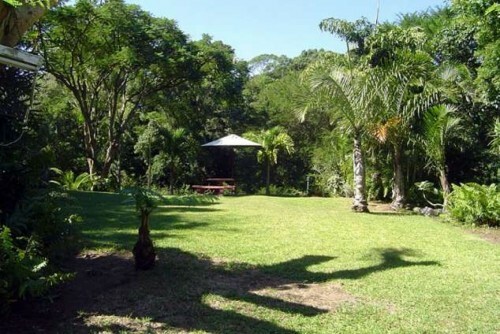 Hluhluwe/Umfolozi Game Park is ±60km from St. Lucia and Cape Vidal only 32km, making it an ideal stay over. There are banks, grocery store, petrol station, post office, police station & doctors, not to mention good quality restaurants. The weather is good most of the year and nature always at it best! St. Lucia is small, but big in adventure and will cater for any tourist! 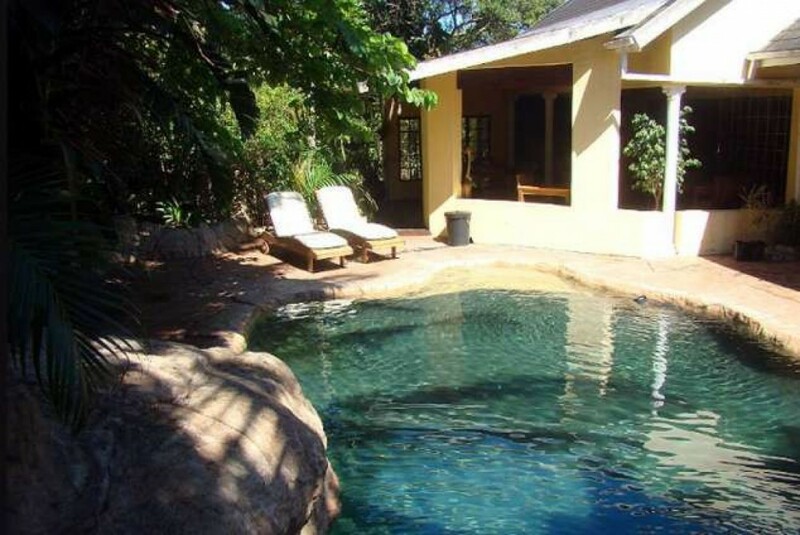 Come and enjoy The Wetlands at Lalapanzi Guest House. Bulbul: En-suite room with 2 Single Beds (shower). Private deck with table & chairs. Wagtail: En-suite room with Double Bed (shower) (outside). Private patio with table & chairs. 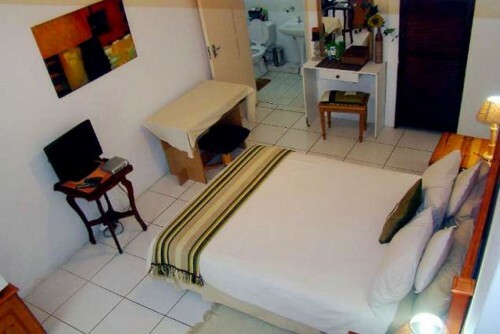 Robin: En-suite room with 2 Twin Beds together (shower) (outside). Private patio with table & chairs. 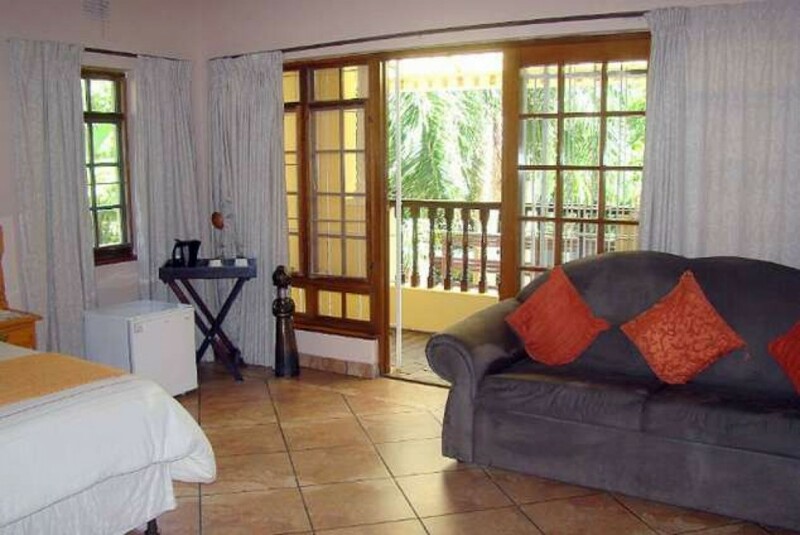 Lourie: Family Unit with two en-suite rooms : Room 1 with double bed, shower & bath. Room 2 With four bunker beds, shower. Private patio with table and chairs. Deposits are not refundable in the event of a cancellation or non arrival. Terms and condition of reservation/booking are deemed as being accepted on receipt of the deposit.